Dr. Pratt’s workshops and presentations are sought for their cutting edge psychological tools and his work encompasses a broad spectrum of psychological, health and optimal performance issues. Dr. Pratt has taught for the University of California, San Diego ext. He has conducted seminars at Scripps Memorial Hospital Campus, La Jolla, in Sedona, and yearly on the Big Island of Hawaii. He has been a featured guest speaker with Tony Robbins as well as John Assaraf. He has been invited to speak at events in Telluride, Sun Valley and Hong Kong. At this intimate, five-day small group event, your will have access to Dr. Pratt and the proven methods he uses in his practice to help you regain your life and freedom. Dr. Pratt will teach you the same tools that he has used to help Super-bowl champions, Olympic medalists, professional athletes, business executives, Grammy and Academy Award winners, vets and trauma victims, to clear away limiting beliefs and function at their highest levels. He will teach you the same tools that he has used to help Super-bowl champions, Olympic medalists, professional athletes, business executives, Grammy and Academy Award winners, vets and trauma victims, to clear away limiting beliefs and function at their highest levels. The impact of nutrition and exercise on disease prevention and the aging process. The beneficial effects of mindfulness on reducing physical and psychological stress may extend life span as well as improve your quality of life. Science behind good nutrition along with tips, tools and strategies to create and maintain a healthier diet. Healthy cooking and fitness workshops, outdoor yoga sessions, guided hikes, guided meditation, and more. Renowned psychologist, Dr. George Pratt, is a modern-day healer and has created a brilliant formula that allows us all to tap into our highest potential. I have personally experienced his self-healing tools and found them to be incredibly effective. George is the real deal! Thoughts are real, they have substance and form. The hands-on seminar will he you learn how to use the law-of-attraction to produce a better life. New, dynamics methods for creating health, wealth and happiness. Imagine yourself for a moment, swimming with dolphins along the Kona Coast of Hawaii experiencing nature in a way that expands your ability to trust yourself and access the power of your own inner resources. This seminar combines the best of Energy Psychology and the healing energy of the Big Island of Hawaii to build self-confidence, remove blocks to success, discover your ability to focus intentionality and create powerful positive beliefs. 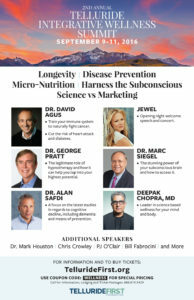 This seminar will take you to new frontiers of the brain, health, body, mind and spirit. You will learn how to apply new research on healing, happiness, nutrition, exercise, meditation, caring for the brain, relationships, goal-setting and success. The Power of Energy II seminar will lead you through a process to access the body’s energy using the acupuncture meridians, the Chakra system, and the subconscious processes using hypnosis. You will learn a hybrid of Eastern understandings of the mind and body with innovative Western methods of activating neuropathways and neuropeptides to create a powerful change for yourself and others. Thoughts are real. If you appreciated the recent movie, What the Bleep Do We Know, you will easily understand the power oin developing focused thought and mental imagery to achieve your life goals. This seminar will teach you self-healing tools that will help you for the rest of your life. Events will be posted here as scheduled. Please check back often for updates or request updates by e-mail – heather@drgpratt.com.